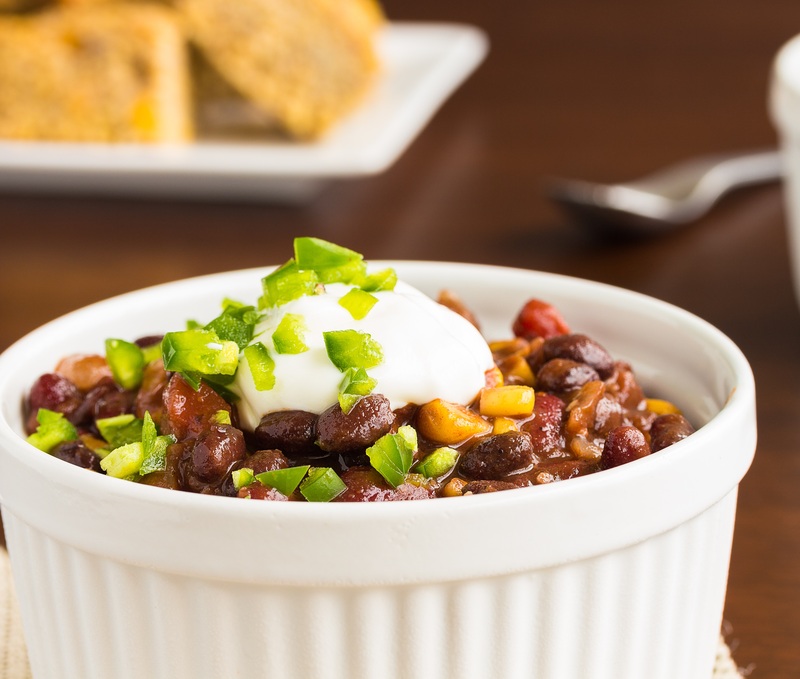 Delicious vegetarian chili. You won't even miss the meat! Stir in the onion, and season with bay leaves, cumin, oregano, and salt. Cook and stir until onion is tender, then mix in the celery, green bell peppers, jalapeno peppers, garlic, and green chile peppers. When vegetables are heated through, mix in the vegetarian burger crumbles. Mix the tomatoes into the pot. Season chili with chili powder and pepper.